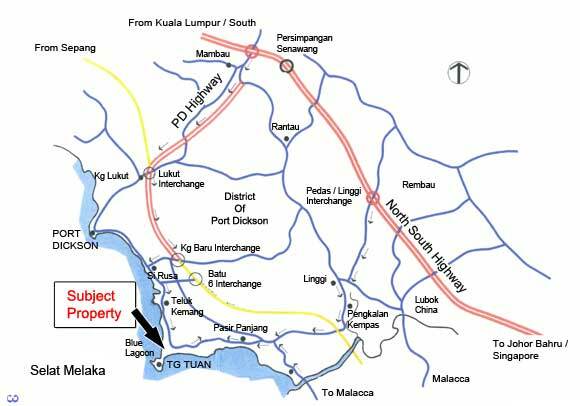 The subject property is located off the 9th mile of Jalan Port Dickson. It is only about 150 metres from the beach. The surrounding are mostly budget chalet except for the Guoman Resort. Next to this vacant land is a small resort by PKNS. Perfect for those who does not want to face the sea but would like to be within "strolling" distance from the beach.